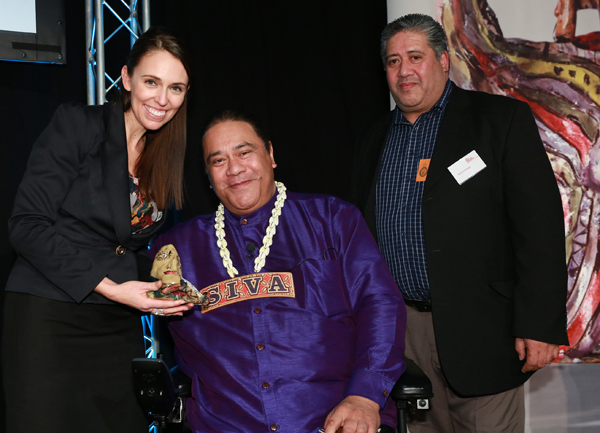 Christchurch’s Isaac Theatre Royal Chief Executive, a musical pioneer of Samoan music, an innovative art space engaging with its local community, a vibrant group of Pacific women and prison arts leaders were recognised on 1 July at the Arts Access Awards 2015. 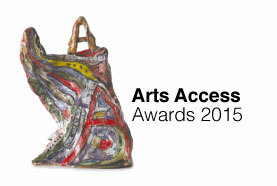 The Arts Access Awards acknowledge the contribution of individuals, groups and organisations in providing access to the arts. They also acknowledge the achievements and contribution of a New Zealand-based artist with a physical, sensory or intellectual impairment, or lived experience of mental ill-health. The awards were hosted by Hon Maggie Barry, Minister of Culture and Heritage, in the Banquet Hall of Parliament. Richard Benge, Executive Director of Arts Access Aotearoa, and Stewart Sexton, disability advocate, co-presented the Arts Access Awards this year. "Tonight we celebrate the artists, producers, creative spaces, venues and leaders who provide access to the Arts for those of us who due to the randomness of impairment or circumstance would otherwise find it difficult or not possible to be included in or participate in the arts," Richard said. "It is a pleasure to have our newest lead champion of Arts Access Aotearoa’s work and host of the Arts Access Awards tonight, the Minister for Culture and Heritage." 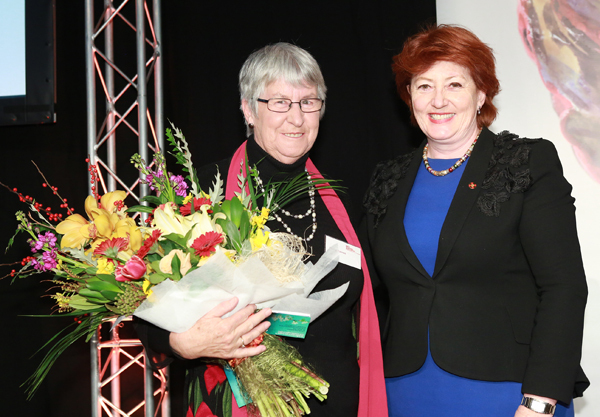 Hon Maggie Barry, Minister for Culture and Heritage, congratulated Arts Access Aotearoa for its 20 year anniversary and thanked Penny Eames, founding Executive Director, for her leadership through the first nine years. "The vision that Arts Access Aotearoa was founded on two decades ago was that everyone has the right to be creative," Hon Maggie Barry said. "In the audience tonight are the people who make this happen: current and former trustees, staff, artists, funders, partners, supporters and business sponsors. "Tonight’s Arts Access Awards provide the opportunity to celebrate the success of some of the many people and organisations who are working throughout New Zealand to increase access to arts and culture." Michael Krammer, Christchurch, Arts Access Artistic Achievement Award 2015, for his passion and commitment as a dancer and tutor. Through his artistic achievement, he has given back to children with learning disabilities. 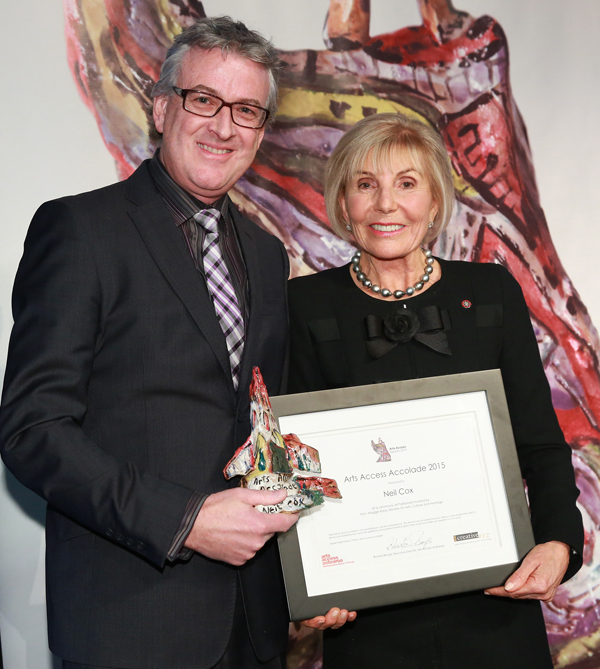 Auckland War Memorial Museum, Auckland, Arts Access Creative New Zealand Arts For All Award 2015, for the dementia project and Infowave initiative: progressive projects, bringing increased community access to the museum. 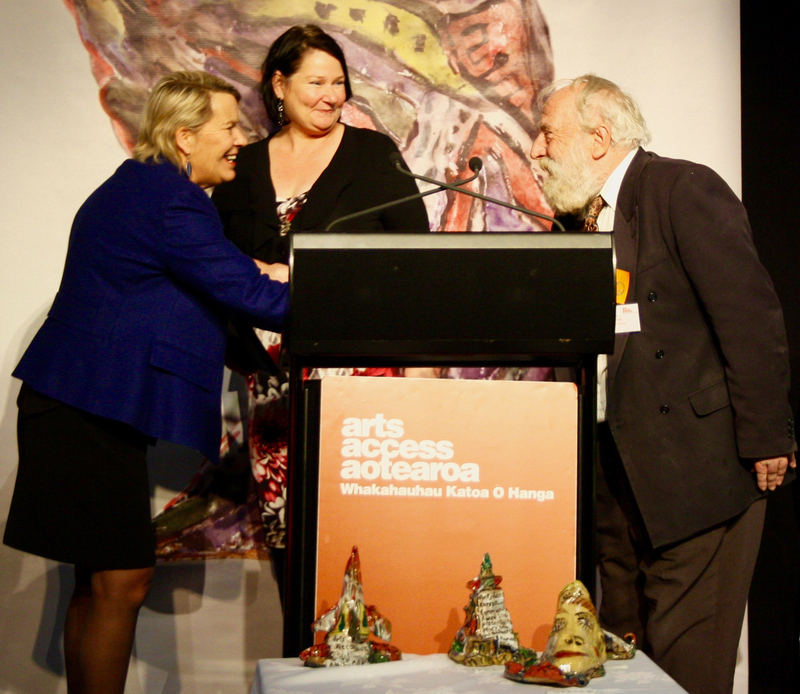 Pablos Art Studios, Wellington, Arts Access Creative Space Award 2015, for the high quality of the exhibition experience for its artists to engage with the public. Arts Integrated, Christchurch, Arts Access CQ Hotels Wellington Community Partnership Award 2015, for creating a high-quality training programme, built from grass roots efforts. This training programme was established through a committed partnership with Hagley Community College and created an opportunity for young adults to develop their skills in acting. Northland Region Corrections Facility, Kaikohe, Arts Access Corrections Leadership Award 2015, for its leadership and innovation in education, as well as the development of community partnerships through art projects. Original generation time 1.1969 seconds. Cache Loaded in: 0.0345 seconds.